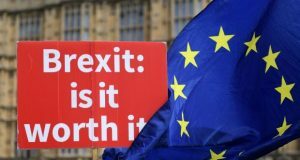 The UK’s imminent departure from the European Union, popularly called Brexit, is expected to severely impact the gambling industry in Gibraltar. This is because most of the safety measures, rules, and regulations that govern trade in the economic zone shall not apply anymore. The recent dual resignations of two British top ministers i.e. David Davis and Boris Johnson have further exacerbated the situation. Their resignations have shaken the government to the core and created a wave of uncertainty as regards the way forward. Indeed many waits with bated breath to see how the events shall unfold. As things stand, the gambling firms that operate in Gibraltar are governed by the European Union rules of trade. They are also entitled to the same privileges as their counterparts in the rest of the trading block. Some of the top benefits these firms accrue are unhindered access to the huge market, freedom to move their staff, operations, and bases throughout the entire trading bloc, and protection from adverse competition from international sources. If and when the Brexit deal is eventually finalized, all firms that set base in Gibraltar are expected to be adversely affected. They shall lose all these privileges. This shall see their stocks and revenue take a nosedive. In response to these issues, Gibraltar has instituted a host of countermeasures. It has significantly reduced the corporate tax on gambling revenue by a whopping 0.85% (from 1% to a paltry 0.15%). It has also advised gambling businesses that have a base within its territory to identify contingency measures which may aid them to cope with the imminent change of the trade regime. At the same time, the nation has also raised the license fees in a bit to cater for revenue shortfalls. The license fees are one-time expenses and are such not expected to impact adversely the desirability of Gibraltar as a favorite gambling destination or base. The license fees of the business-to-consumer gambling companies shall cost $132,000 (£100,000) while those of the business-to-business gambling companies shall cost $112,000 (£85,000) under the new licensing regime. Some top gambling firms have also decided to take matters into their own hands. They have decided to draft their own contingency plans to counter these issues. The most notable examples of these firms are the Bet365 and 888 Holdings. These two firms have resolved to move some of their operations to Ireland and Malta. This is in a bid to circumvent the obstacles that are expected to be placed on the path of the companies that set up base in Gibraltar. More gambling firms are expected to follow suit or at least modify their rules of engagements. Other than the aforementioned issues, the tax schedule is also expected to be severely impacted. This is because the EU requires all firms to be based within its borders for any decision touching on the tax to be made. This will complicate matters further as no firm as of yet has issued an intention to fully relocate its operations. The stakeholders in the gambling industry are in a flurry of activities aimed at rescuing the gambling business. Most propose that the Brexit deal also stipulate the manner in which gambling shall be treated as a trade. This stems from the fact that service industries of which gambling is a part, have been largely excluded from the ongoing Brexit talks. A number of stakeholders have contemplated looking to the World Trade Organization to offer the needed way forward. Their argument is hinged on the premise that both the UK and the EU are members of the global trade organization. They are therefore bound by the same rules notwithstanding the fact that they may have parted ways. Gibraltar’s gambling industry is one of the most vibrant and lucrative. It will be interesting to see how events unfold especially with regards to the latest developments. Well, you’re challenging things you don’t like. And that is part of a democracy, the fact that you can challenge things you don’t like. Of course, if Remain wins this next referendum, you can campaign for another one.